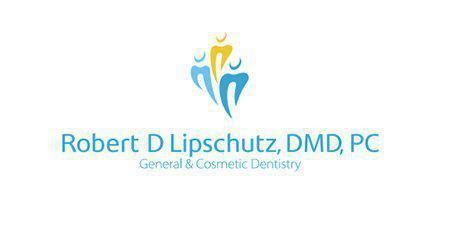 Dr. Lipschutz has significant experience in cosmetic dentistry techniques, including the application of veneers and crowns aimed at helping patients in Manhattan and throughout New York City restore their teeth and repair damage and other defects. Veneers are very thin coverings that are applied to the front surfaces of teeth to address aesthetic issues like deep stains and discolorations, pits, chips and cracks, uneven tooth surfaces and worn tooth edges. They're also commonly used to hide gaps between teeth and to help crooked teeth appear straighter. Like dental crowns, veneers can be tinted so they look just like your natural teeth. A crown is a durable cover that surrounds the entire tooth, hiding defects like large fillings, broken or chipped teeth, or worn tooth surfaces. Crowns can also be used to provide strength to teeth following a root canal procedure or to strengthen and protect the teeth that are used to support a dental bridge. Porcelain crowns can be tinted to match your own teeth for a restoration that looks completely natural. How are crowns and veneers applied? In both cases, the application begins with the removal of a small amount of tooth material to make room for the crown or veneer. Once the tooth is prepared, an impression or mold is made of the tooth and then sent to a dental lab where the crown or veneer will be created just for you. You'll also be given a temporary crown or veneer to protect your tooth while the permanent veneer or crown is being made. At the second appointment, the veneer or crown will be applied using a very strong dental cement, and the tooth will be gently shaped and buffed. How long will veneers and crowns last? Cared for properly with regular brushing, flossing and routine dental visits, porcelain crowns and veneers can last a decade or more.